Buy Online Now! 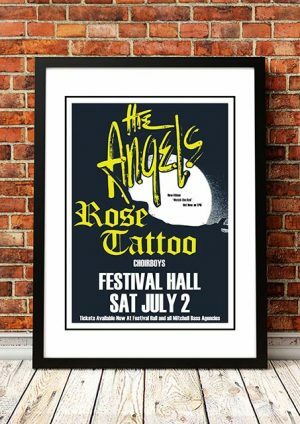 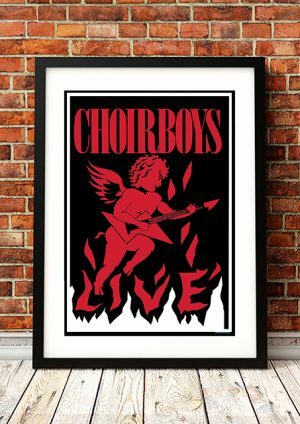 - Choirboys Rock Concert Posters and Memorabilia. 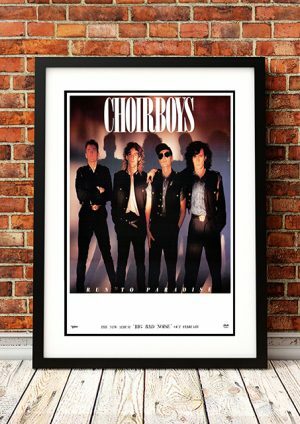 Choirboys released their self-titled debut album, ‘Choirboys’ in July 1983. 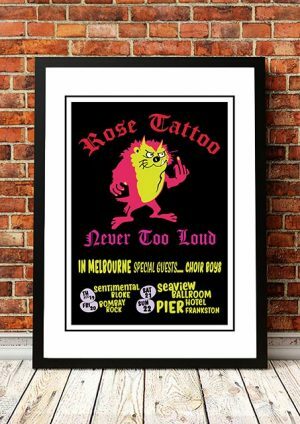 The first single, “Never Gonna Die,” followed in August and reached No. 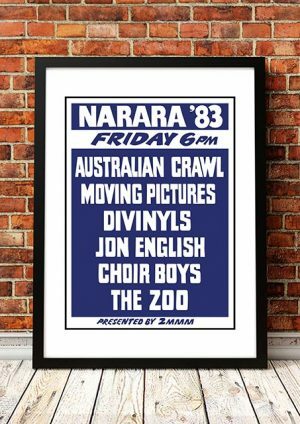 30 on the Australian Singles Chart. 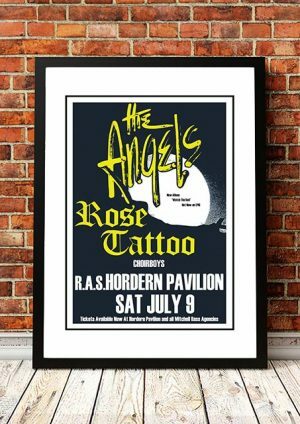 Ian “Molly” Meldrum claimed the album was “destined to become an Aussie Classic”. 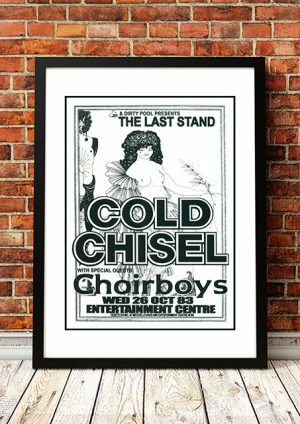 The single “Run to Paradise” was released in October 1997 and was the 11th highest selling single of the eighties in Australia. 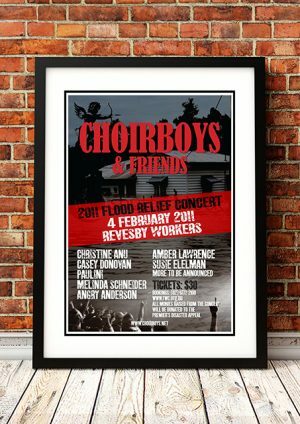 We stock some terrific Choirboys band concert posters.